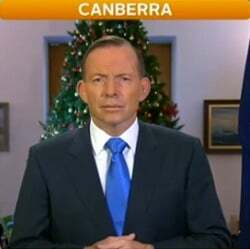 Explain to me: What just happened to Australia's immigration laws? The Senate has passed sweeping changes to Australia’s immigration laws, including the re-introduction of temporary protection visas (TPV), representing a much-needed legislative win for the Abbott Government. 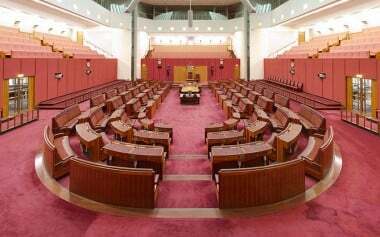 Senators sat until the early hours of the morning debating the legislation, which eventually passed with the support of the two Palmer United Party senators, Family First senator Bob Day, Liberal Democrat David Leyonhjelm and a clearly anguished Ricky Muir from the Motoring Enthusiast Party. 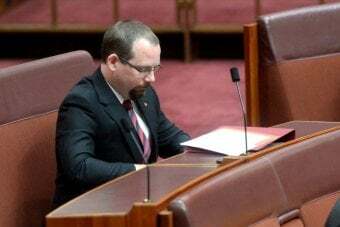 Senator Muir told the Chamber the Immigration Minister had made it clear that tens of thousands of asylum seekers would be left in limbo unless the legislation was passed. “I am forced into a corner to decide between a bad decision and a worse decision; a position I do not wish upon my enemies,” he said. Senator Muir told the chamber he had received a letter from asylum seekers. “They state that if a TPV was the only option this Government was going to offer, accept it because the mental anguish and pain can’t go on,” he said. “It was a plea, a loud cry for help. Before the vote was taken, Assistant Immigration Minister Michaelia Cash said it was vital to “take the sugar off the table”. 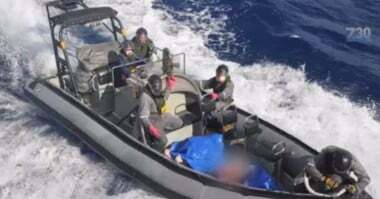 “Tonight we bring an end to 50,000 people coming here illegally by boat because the people smugglers had a product to sell,” Senator Cash said. In exchange for the crossbencher’s support, Scott Morrison agreed to lift Australia’s refugee intake by 7,500 places, give asylum seekers on bridging visas the right to work and remove all children from detention on Christmas Island. The new TPVs grant refugees protection in Australia for three years but could see them sent back to their home countries after that if the Government deems conditions there have improved. New five-year safe-haven enterprise visas would also be introduced to encourage refugees to live and work in regional areas, and could eventually offer a pathway to a permanent visa. Greens senator Sarah Hanson-Young said Mr Morrison used asylum seeker children to put pressure on Senator Muir. “He was told that if he did not do what the Government wanted, the children would get it,” she said. “He was told that the only way to get the children out of detention was to pass this bill and this package. PUP senator Glenn Lazarus also said it was not a perfect deal but it meant children would be out of detention and there would be an increase of 7,500 in the refugee intake over time. But Labor’s Kim Carr questioned why that figure was not in the actual legislation. “The difficulty here is there is a profound lack of trust,” he said. Senator Jacqui Lambie and her fellow independent John Madigan joined Labor and the Greens in voting against the bill. “This Government has now been in for 15 months. These kids have been sitting there for 15 months and you want a pat on the back?” she said. Senator Hanson-Young was frustrated at the deal struck by the PUP and said it was wrong to say asylum seekers would be able to apply for a family reunion. “I was surprised when I heard that Clive Palmer announce that family reunion had been granted and that was one of the concessions he was able to get out of the Minister,” she said. The Senate has previously thwarted the Government’s attempts to bring back the Howard-era policy. Speaking to reporters this morning, the Treasurer Joe Hockey said it shows it takes time to pass contentious legislation, in a nod to his own difficulties with the budget. “It is a good win to get the TPVs through the Senate,” he said. The House of Representatives sat briefly this morning to sign off on the amended Bill. Human rights lawyer David Manne said the Senate’s changes had not helped the overall package of laws. “[The laws are] not only radical and extreme, but will violate the fundamental rights. They’ll violate the rule of law and they’ll endanger the lives,” he said. 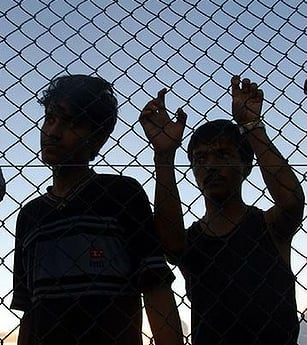 Refugee Council of Australia spokesman Phil Glendenning said the Senate vote did not end the cruelty to children. This article originally featured on ABC and has been republished with full permission. These are a series of pictures drawn by children on Christmas Island earlier in the year. The images – which are drawn based on the children’s experiences – were obtained as part of an inquiry into Children in Immigration Detention by the Human Rights Commission.